The Great County of Leicestershire lies at the very heart of the nation with history woven into the very fabric of its landscape. The market town of Melton Mowbray proclaims itself to be 'The Rural Capital of England' and for lovers of genuine pork pies and delicious Stilton Cheese the claim is well made. Five miles to the east of Melton Mowbray, tucked away in the patchwork quilt of rolling green fields, the small village of Saxby busies itself with farming and rural pursuits. The origins of the name of the village are undoubtedly Viking from the old Scandinavian word 'By' meaning 'Farmstead or Village' of a man named 'Saksi' or of the 'Saksar' (the Saxons) and it is recorded in the Domesday Book in 1086 as Saxebi. 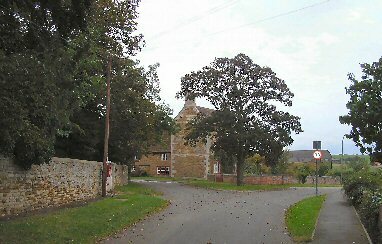 The writer Arthur Mee wrote in his 'King's England' account of Saxby that 'It has cottages where once there were huts of wattle and mud and a church with a grey tower where Saxon horsemen rode, for here was a Saxon camp of considerable importance'. 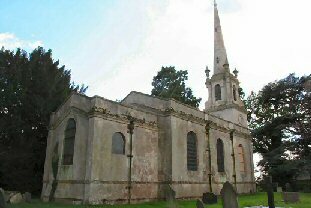 The jewel in Saxby's crown has most certainly been, since 1789, the very impressive Church of St Peter designed by the architect George Richardson for Robert Sherrard the 4th Earl of Harborough. Saxby's place of worship was built in the 'Classical' style that Pesvener described as 'an attempt at combining the tradition of the Hawksmoor churches of London with Leicestershire usage'. Sadly, when we visited the village in the autumn of 2007 a 'Sold' sign was on display at the Church gates and the building was locked and boarded up. The 21st Century's decline in Church congregations combined with its insatiable thirst for housing development has undoubtedly brought about this change in the village's priorities and only the future will tell whether the 'common good' has been served. There is no war memorial in Saxby and we found no indication that the village today remembers that some nine decades ago all their sons came home from the Great War of 1914-1918 making this one of only three 'Thankful Villages' in Leicestershire.